New Which? research has found that just 38% of active funds that aimed to beat the FTSE All Share index have managed to do so over 10 years. But fans of low-cost passive funds, or index trackers, also need to be selective – a £10,000 investment in the worst performing FTSE All Share tracker made 10 years ago would now be worth £2,431 less than the same investment in the best performer. The debate between advocates of actively managed funds, where a professional manager selects a portfolio of shares or bonds for you, and those who prefer passive funds, which simply hold all shares in a particular index in an attempt to track its performance, has raged in the investment world for over 30 years. The argument against active fund managers is that, because of high ongoing charges and the difficulty of picking winning stocks consistently, most will fail to beat the market, and those that do will rarely repeat their success. Those who defend active funds point out that some managers do achieve continued success and that tracker funds are guaranteed to underperform as a result of the compounding effect of their charges over time. 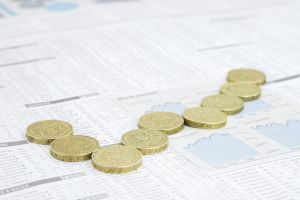 We looked at passive and active funds in the UK that aim to either track or beat the FTSE All Share index, which includes all companies listed on the London Stock Exchange. Just 37 of the 96 actively managed funds that aim to beat the return of the index managed to do so over the past decade. The average performer returned 164% over this period, with dividends reinvested, compared to 171% for the index. The best performing active fund, the higher risk Invesco Perpetual UK Aggressive, achieved a 298% return; the worst, UBS UK Opportunities, managed only 90%. However, we also found striking differences in the performance of tracker funds aiming to match the index. The best tracker, M&G UK Index, which has an ongoing charge of 0.46%, returned 160%. The worst performer, Halifax UK FTSE All Share Index, achieved only 136%. Until October last year, the Halifax fund charged 1.5%, which explains its poor record. It has now reduced the charge to 1%.